Standard room with a flat-screen satellite TV and a terrace. The bathroom includes a hairdryer. 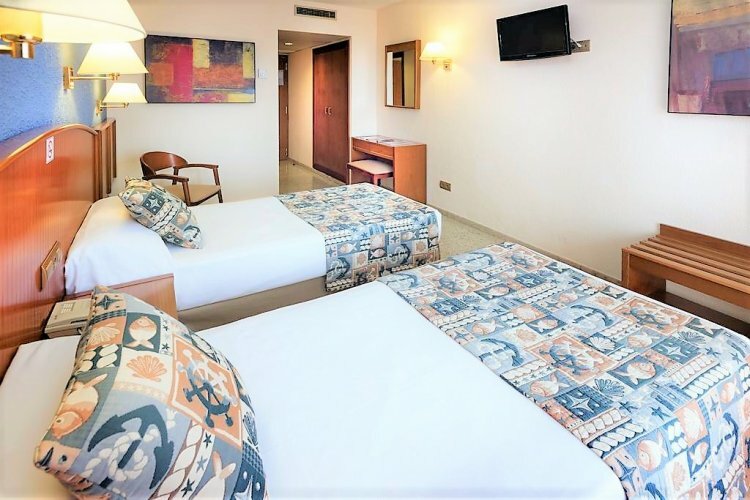 Room Facilities:double bed (separable on request), terrace, pool / sea view, flat-screen TV, telephone, satellite / cable TV, storage, safety deposit box (surcharge), air conditioning, desk, heating, bathtub, hair dryer, air conditioning free toiletries, wake up service. In each room , it is possible to add a bed of the baby. 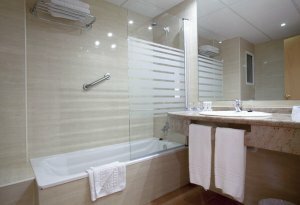 These rooms have a double (separable bed) / triple or quadruple capacity, possibility to have a communicating or disabled room.